Back inside the show some of the stands had what appeared to be models instead of staff, all impossibly tall, impossibly slim, impossibly beautiful. Unfortunately they did not really seem to know anything about stoves ! 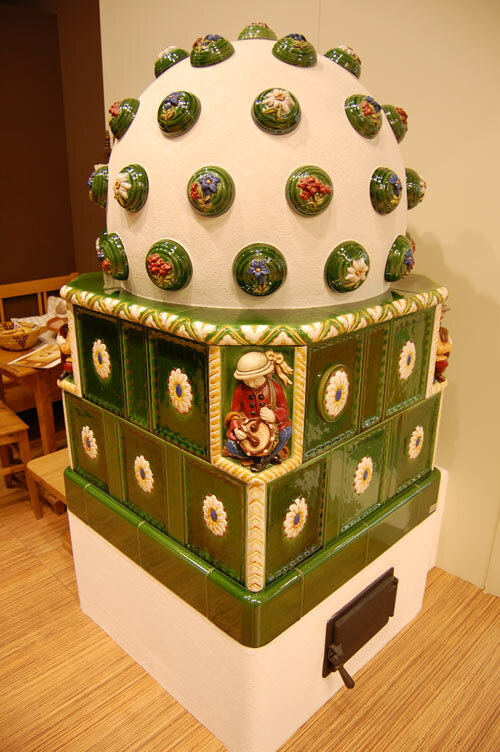 The European stove market has many stoves which are covered with ceramic (known as majolica), often bright red.Here in the UK we tend to like simpler designs made of plain steel.They probably think that our taste on stoves is bland. 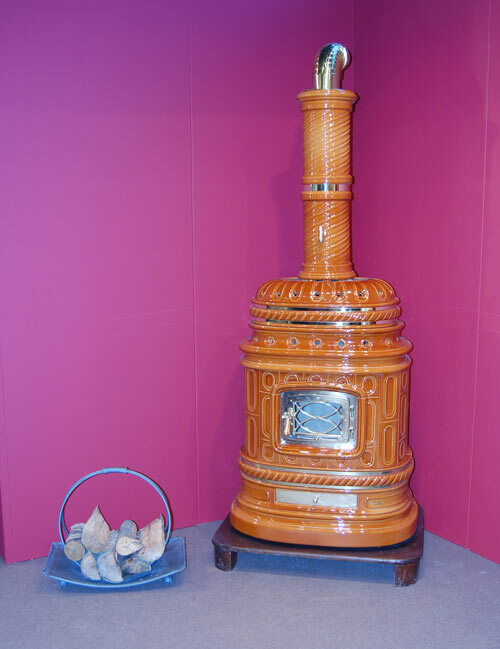 Pictured are a couple of the more adventurous ceramic stove designs that were at the show.